Sorry everyone i meant to send in the last post but forgot to log off my sisters account before doing so. AGAIN. So yes LFBS post was mine not hers. Sorry again. olafthebunny wrote: Cool!LFB is learning drums as well. Now she always plays Twenty One Pilots songs on them. LOL, Miss M and Galadriel probably hear me playing "Cannons" all of the time! So they probably feel your pain! Aspiring author of "The Heirs" five book series, based on the legend of King Arthur. In progress: Book 1 - The Journey to the Stone Circle. Wow BWK! Nice set. That's very cool that you've started drums. Wow! 6 songs is a lot, I'm sure you were very tired We bought a used drum set for R800(approx. $80) for fun, so it's not that great, but it works. It just has two toms, a floor tom, hi-hat, and a crash we need to set up. We still need to buy a ride cymbal. I have taught myself some simple beats, and I can play Heathens and Stressed Out by Twenty One Pilots. I really love drums. I'm in a homeschool marimba band at the moment, I started at the beginning of this year. We've played at senior homes, a homeschool concert, and a competition called an eisteddfod, where we won gold. I like marimba, but I think I like drums better. I think next year I will switch to drum lessons if I can. I don't have any memes at the moment, but I'll be searching! BWK, what's your FB meme page called? I've started a rabbitry YT channel and IG account. And good news, in 2 weeks Lady Galadriel the bunny is going to have babies!!!! LittleFluffyBunnies wrote: Wow BWK! Nice set. That's very cool that you've started drums. Thanks! I think it's really cool that I'm not the only drummer on RT! LittleFluffyBunnies wrote: We bought a used drum set for R800(approx. $80) for fun, so it's not that great, but it works. It just has two toms, a floor tom, hi-hat, and a crash we need to set up. We still need to buy a ride cymbal. LittleFluffyBunnies wrote: We've played at senior homes, a homeschool concert, and a competition called an eisteddfod, where we won gold. LittleFluffyBunnies wrote: BWK, what's your FB meme page called? 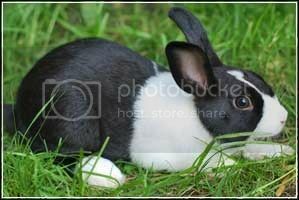 LittleFluffyBunnies wrote: And good news, in 2 weeks Lady Galadriel the bunny is going to have babies!!!! Bunny-Wan Kenobi wrote: BRING IT ON!!! I have started a new book called ' Into the Burrow'! It is a fiction book about rabbits on Rabbit Island. I love Rabbit Island! I have never been there but would LOVE to go there! I have just finished the prologue and am now stuck. I want it to be a realistic book, but not too realistic. Do you guys have any ideas of what should happen? The White Burrow, The Black Burrow, and the Amber Burrow. Each Burrow has a doe and a buck in charge. The doe and the buck are called the Mother Rabbit and the Buck Rabbit. They are the only ones that breed in the burrow. They keep the burrow going and stuff. Then the other rabbits just do normal rabbit things. So that's a bit about the book. Do you guys have any ideas? Please let me know if you do! Drums aren't thaaaattttt baaaaaadddd. They just bother me know. Anyways, i prefer guitar. I'm very horribly learning to play it. olafthebunny wrote: I have started a new book called ' Into the Burrow'! It is a fiction book about rabbits on Rabbit Island. I love Rabbit Island! I have never been there but would LOVE to go there! I've got nothing right off, my books are more action/adventure, sword battles, fist fights, that kinda stuff. But I'll let you know if I think of something. Good luck! That's awesome to hear that you're learning guitar! Galadriel is learning guitar too! Got any pics of your guitar? I really like your book idea, olafthebunny! it sounds awesome.! I might be able to find a pic. It's a mini guitar for kids....I have small hands Ok well it's not a ' kid' guitar, it's a real guitar that's a little small. I have only memorized the D chord and A so far. Let me know if you get any book ideas! olafthebunny wrote: I have only memorized the D chord and A so far. Hey, that's more than me! olafthebunny wrote: Let me know if you get any book ideas! Hey, we could form a band! Lessee: The RabbitTalkees? Naw. The BUNNEHS? No no no ummmmmm.... oh, I've got it! FLUFFLE! Lol just kidding, Galadriel and I are already in a band!